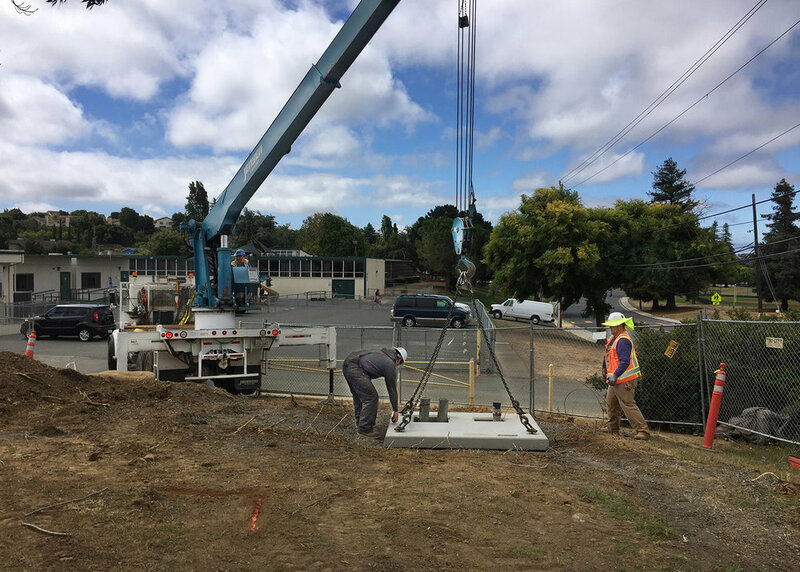 This project consisted of site demolition and prep, and the installation of new mobile classrooms. To prepare the site for the new additions, the old buildings were demolished, the site was cleared of trees and erosion control was implemented. After grading and trenching the site, wet utilities, storm drains, retaining walls, and ramps were installed to await the new classrooms. With the preparation of the site completed, the buildings were transported to the site and placed on their designated location. The project was completed with the installation of a new pathway to the classrooms.